The International Budo Institute, Bubishido, is dedicated to the preservation of the memory and teachings of Shinan Masayoshi Hisataka founder of Shorinjiryu Kenkokan and inspiration for this school. His teachings in Karate, Jujutsu and Kobudo provide the basis for the knowledge contained herein. Shinan Kori Hisataka was born on 22 April 1907 in Shuri, Okinawa. Although now a part of the Naha Metropolitan area, Shuri was the original capital of Okinawa, location of the Shuri Castle and home to most of the Okinawan aristocracy. His name at birth was Seiki Kudaka (pronounced Masayoshi Hisataka in Japanese), and he was a third generation descendant of Seison Toguchi, a member of the Okinawan nobility who was made lord of Kudaka Island in recognition for his services to the then Kingdom of Okinawa. As was the tradition, Toguchi then adopted the name Kudaka as his own. The first name Kori was taken by Shinan Hisataka later in life – a custom among some senior martial arts practitioners. Shinan Kori Hisataka (1907-1988) was founder of Shorinjiryu Kenkokan Karatedo (少林寺流拳行館唐手道), a style he based on his studies of various Okinawan, Japanese and Chinese forms of martial arts. 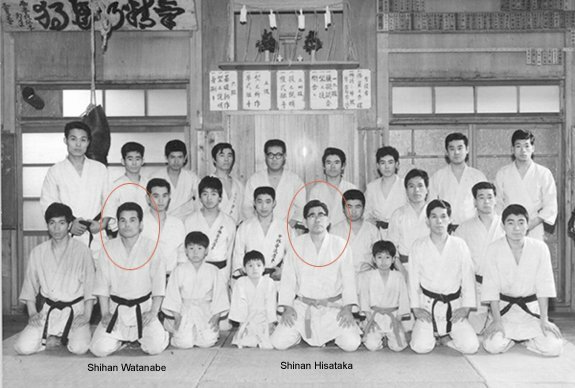 Shinan Hisataka’s was introduced to karatedo and other forms of Okinawan martial arts from an early. 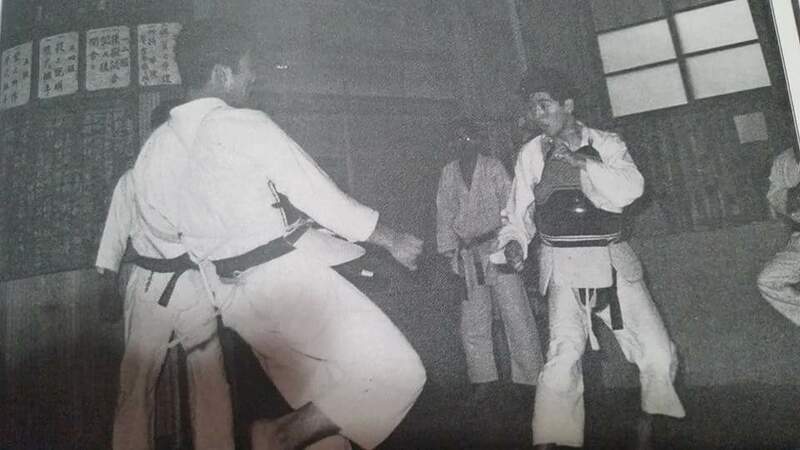 His first instructors were his father, grandfather and uncle who introduced him to the family form of Okinawa-Te known as Kudaka-ryu (久高流), along with the familial form of Kobudodo called Shishiryu (獅子流). Recent research suggests that Shinan Hisataka may have attended the Naha Municipal Commercial School. 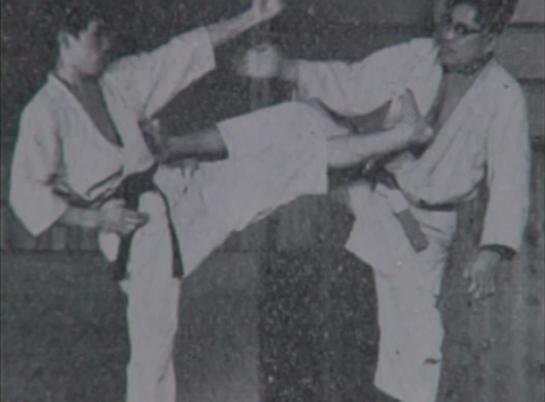 At the time that Shinan Hisataka was a student there, karate was in the process of being introduced to the Okinawan school system, principally through the efforts of Master Anko Itosu. 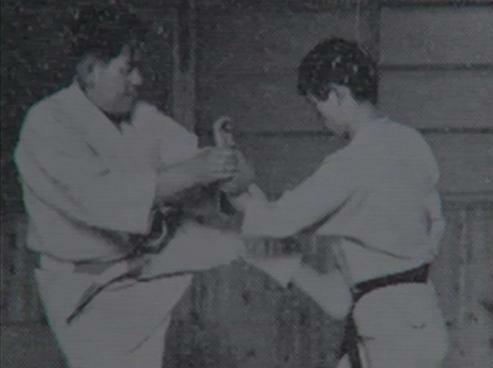 The karate teacher at the Naha Commercial school was Master Kanryo Higaonna, who was assisted by Master Chojun Miyagi. Miyagi took over as principal karate teacher at this school following Higaonna’s death. This is where Shinan Hisataka is most likely to have met Masters Higaonna and Miyagi, and is the probable original source of the kata sanchin as it relates to Shorinjiryu. As a teenager, Shinan Hisataka spent some time in the southern Japanese island of Kyushu, and is said to have learnt the art of jujutsu whilst there. While little verifiable information is available about this time frame, one look at a Shorinjiryu practitioner in action will confirm the influence of grappling on our style. This may also have been gained from the native Okinawan form of grappling known as tegumi (also called Okinawan sumo), a sport at which Shinan Hisataka was said to have excelled. 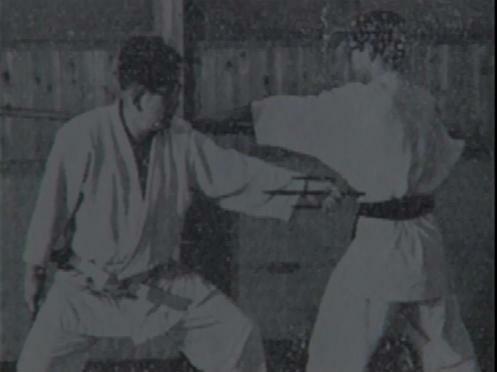 Research by such historians as Hanshi Patrick McCarthy suggests that tegumi was in fact one of the original arts that comprised karate (along with Tigua, the art of percussive impact, and Tuidi, the art of nerve striking). Most modern Japanese styles focus only on the percussive impact component, but the grappling is still obvious in styles like Shorinjiryu. Another early teacher of Shinan Kori Hisataka was the reclusive weapons master, and former Okinawan police commissioner, Sanda “Ufuchiku” Kanagusuku (1841-1921). As Shinan Kori Hisataka’s father had died whilst he was young, Ufuchiku Kanagusuku was petitioned by the Hisataka family to teach weapons, particular sai, bo and jo to the young prodigy. Perhaps the main teacher of Shinan Hisataka was Master Chotoku Kyan (1870-1945), a student of Anko Azato, Sokon Matsumura, Kokan Oyadomari and Kosaku Matsumora. 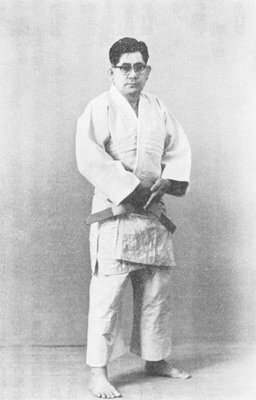 Master Kyan is credited with founding a style he called Sukunaihayashi (pronounced Shorinjiryu in Japanese), and for introducing such innovations as the vertical fist, the extended use of the hips in punching and kicking, and angular movement for evasion and defence. It is through the Kyan lineage that several of our current have evolved, particularly Bassai, Seisan, Chinto and Kusanku. It is also thought that the form of Nijushiho practiced in Shorinjiryu was passed from Master Azato to Master Kyan and then onto Shinan Hisataka, having been modified by Azato to include principles of defence against bladed weapons. This is something Azato derived from his own studies of Jigenryu Kenjutsu, and his successful unarmed encounter against a Japanese samurai. In the late 1920’s Shinan Kori Hisataka completed his compulsory military service, and then left to return to Okinawa. In 1929-30, he travelled to Taiwan along with his teacher, Master Chotoku Kyan and Master Ryosei Kuwae. There the three Okinawan karateka toured, demonstrated and learned from local practitioners. In one famous incident, the three gave a demonstration and the Taipei Botokuden (hall of martial virtues), where Master Kyan fought a challenge against a senior judoka. At the same event, Shinan Hisataka fought a challenge match against a female Naginata master. The naginata (halberd) is an ancient samurai weapon, but in recent times has become the preferred weapon of women martial artists. This particular Naginata expert was so skilled that she had previous defeated the famous Kendo master, Junzo Sasamori (literally the co-author of the best book on Kendo). Shinan Hisataka fought the challenge, and won, utilising a bo. Following their tour together, Master Kyan returned to Okinawa, and it was following his return from this trip that he introduced the kata Ananku. Master Kuwae, the last student of the great “Bushi” Sokon Matsumura is believed to have stayed in Taiwan. Shinan Hisataka travelled on to mainland China, and as far afield as Burma, Thailand, Afghanistan, Russia and Mongolia, in each location furthering his studies and skills as a martial artist. Shorinjiryu Karatedo is a rather eclectic combination of techniques, and one can only imagine where some ideas originated from during Shinan Hisataka’s travels. Of obvious influence were some of the northern Chinese styles, particularly Baji Quan (Hakkyoku Ken in Japanese) and Shaolin Long Fist. In 1932, Shinan Hisataka demonstrated at a martial arts festival celebrating the confederation of the Manchurian state. At the time, he demonstrated the Kudaka family version of the kata Kusanku. This kata is also sometimes known as Happo-ate, meaning eight directional striking. At some point in the 1930’s Shinan Hisataka returned to Okinawa and Japan. During this time,Shinan Hisataka spent a year in Tokyo, training at the home of Judo, the Kodokan, under the great master Sanpo Toku (known as “the devil of the Kodokan”). In only one year, Shinan Hisataka attained the rank of Yondan, or 4th Dan. Also during the 1930’s, Shinan Hisataka toured Japan with his teacher, Master Chotoku Kyan. It is said that he fought many challenges, never losing. In one story, reported in Scientific Karatedo,Shinan Hisataka broke a wooden block that even a powerful swordsman could not break. The swordsman challenged Shinan Hisataka to a duel, and Shinan defeated him, weaponless. In the late 1930’s, following the outbreak of hostilities between Japan and China, Shinan Hisataka was stationed in Manchuria (then occupied by the Japanese) as a Station Master in the Railway system. Over the following years, he was located in several cities, including Bakudashi, Sarachi and others. In one location, the deputy governor at the time was the great martial artist, Master Minoru Mochizuki (1907-2004). Mochizuki Sensei was a highly ranked practitioner of Judo and Aikido, having studied under the founders of each system – Jigoro Kano (Judo) and Morihei Ueshiba (Aikido). As a matter of interest, Mochizuki Sensei’s first Judo teacher was Sanpo Toku. Mochizuki Sensei and KaisoHisataka trained regularly at a local Budokan, and to this day the karate taught in Yoseikan Budo (Mochizuki’s composite system comprised of techniques from Judo, Aikido, Karate and other arts) is based on a form taught by Shinan Hisataka – Happoken. According to Shinan Hisataka’s son, Hanshi Masayuki Kukan Hisataka, another influence on Shinan Hisataka was an elderly Chinese master that he had employed at one of the railway stations he was overseeing. This master taught Shinan Hisataka a Chinese style known as Baji Quan (pronounced Hakkyoku-ken in Japanese). Baji is known as being a violent and explosive martial art, and is characterised by techniques such as foot stamping (fumikomi ashi) and weight dropping (otoshi mi). These 2 methods of power generation are quite representative of Shorinjiryu Karate. Following the war, Shinan Hisataka and his family were repatriated to Japan, via Beijing. On returning to Japan, Shinan Hisataka found the country to be demoralised, and the young people were suffering from low employment rates. He established Shorinjiryu Kenkokan Karate as a means to promote health and discipline, with his dojo initially located in Hamada village, on the southern island of Kyushu. Within the next few years, he relocated his family and dojo to Tokyo, principally for the reasons of better educating his children. The dojo was first established in Setagaya Ward, before moving in 1955 to its current location in the Kikuicho district of Shinjuku Ward. The opening ceremony of the new dojo was a special affair, with special guests such as Master Shinken Gima, an Okinawan master who had made the first public demonstration of karate in Japan, together with Master Gichin Funakoshi. Master Gima was also among the first group of people to be awarded a black belt in karate, by Funakoshi. 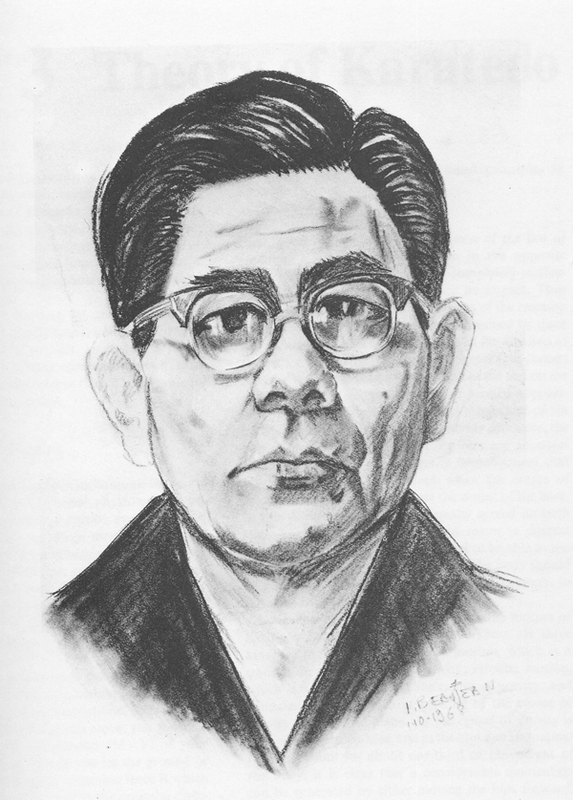 Its not known how often Shinan Hisataka returned to Okinawa, but since his primary teacher (Master Chotoku Kyan) had died in 1945 while Shinan Hisataka was still in China, his future source of inspiration was to be his own studies and knowledge from his main influences – the Okinawa-te and Karate of Anko Azato and Chotoku Kyan, Judo, Jujutsu and Aikijutsu, and the martial arts of China. 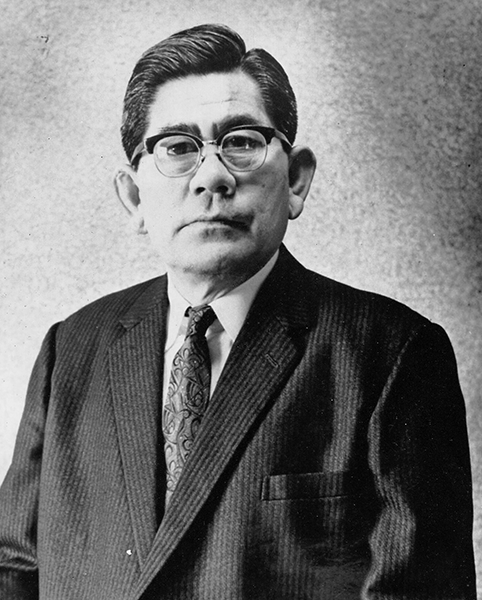 It is known that Shinan Hisataka returned to Okinawa in 1953 for the funeral of Chojun Miyagi, and also for the foundation of an Okinawan Karate Federation, probably in 1957. Shoshin Nagamine, founder of Matsubayashi-ryu and another student of Chotoku Kyan, recounted in one of his books that Shinan Hisataka, a friend since childhood, visited him in the 1970’s. In the early 1960’s, Shinan Hisataka published a small book in Japanese. Titled “Shorinjiryu Kenkokan Karate: History and Theory of the Art”, this book is one of the few sources of information written by this martial artist available to modern students, albeit in a limited manner. The book does not have a publication date, but I would guess that it would be circa 1964. 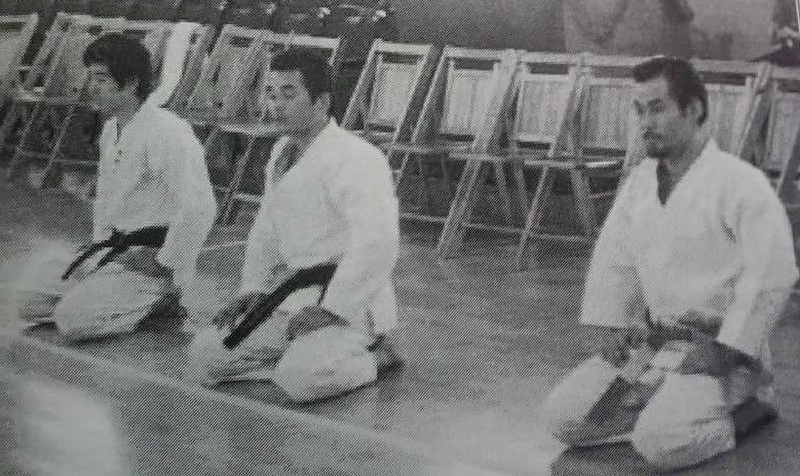 Pictures of Shinan Hisataka in that book depict him wearing a Judo-like gi, and a red and white belt. In the 1960’s, Shinan Hisataka sent several of his outstanding young students to North America to introduce Shorinjiryu Kenkokan Karate. Most of them settled in New York, Baltimore or Montreal. These people included his son, So Shihan Masayuki Kukan Hisataka, Saiko Shihan Shunji Watanabe, Shihan Hisanobu Yamazaki and Shihan Shigeru Ishino, amongst others. Many of them are still resident in North America to this day. In 1974, Shinan Hisataka retired from day-to-day teaching, recalling his son, Hanshi Masayuki Hisataka to Japan to take over as head instructor. Shinan Hisataka still joined in on classes, but stood back from the administrative functions. Shinan Masayoshi Kori Hisataka passed away on 14 August 1988, leaving the Shorinjiryu Kenkokan Karatedo school in the hands of his son, Shihan Masayuki Kukan Hisataka.